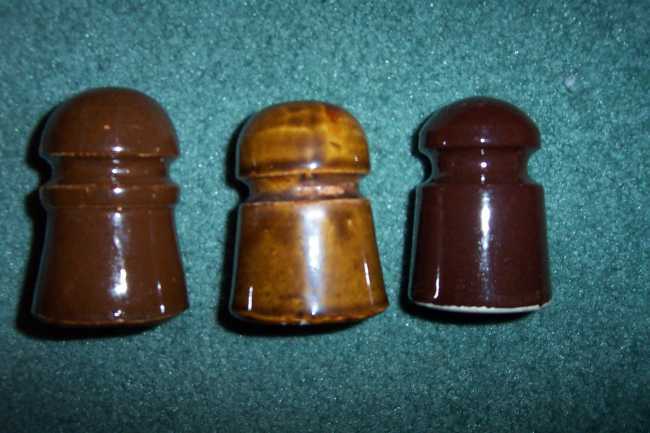 Porcelain Insulators > 3 More Goodies!!! On the left a rare U-2 part mold insulator which you don't see much at all, next a beautiful colored pony with carved top & CRUDELY line carved base, finally, a dome DOUBLE embossed PP INC Stamp embossing. When will you see another double embossed piece??? All look mint or VNM to me! !